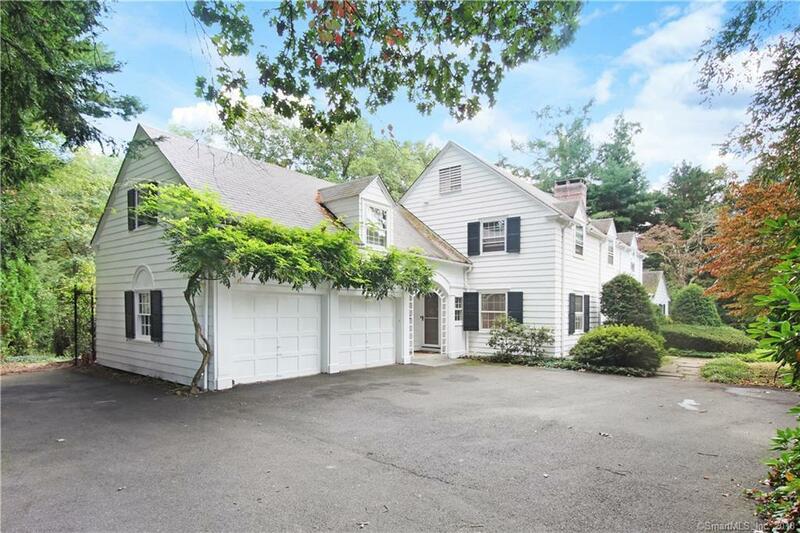 This gracious pre-war classic Colonial, built to endure, is located in picturesque neighborhood off Ridge Road and offers 3268 square feet with generous rooms and period details including crystal light fixtures, arched doorways, dentil molding and paneled wainscoting. Rounding out the special construction details are custom built-in shelves and cabinetry, 3 fireplaces, custom screen printed wallpaper, 8 foot ceilings, solid core wood doors, hide-away wet bar, stone floored screened porch, and patio. Kitchen yields to easy access from garage, offering lots of cabinets and efficient u-shaped work zone, with breakfast nook and breakfast bar for optional expansion. Main floor showcases large formal living and dining rooms, family room, sitting room, and bright entry foyer. The second floor features 3 large bedrooms including the master, and tons of closets and eave storage with space to expand. The 1.12 acre lot has private set-back from road and needs some sprucing, but potential is there for spectacular outdoor entertainment space, and plenty of room for a pool. Updates: exterior of house just painted, many interior rooms have been painted, 3 year old gas boiler, kitchen updates include new GE profile stainless appliances, backsplash, and granite counters and breakfast bar. There are also 2 Sanyo mini split A/C units to cool the main floor as well as irrigation and security systems. Please read photo captions for more details and don't miss the virtual tour., The majority of the interior rooms have just been painted including the master bedroom and bath and the front middle bedroom, so you will no longer see the wallpaper that is photographed here.